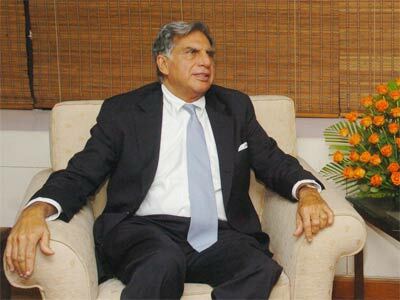 New Delhi: Ratan Tata, Tata Sons Chairman Emeritus, has invested in online marketplace Snapdeal.com. "Mr Tata has made a personal investment in the company," Snapdeal cofounder and CEO Kunal Bahl said. The investment amount, however, was not disclosed. "This stands testimony to the growth and success that we have seen in a short span of 4 years," Bahl said. Snapdeal, which has raised about USD 400 million since its inception, has invested about USD 100 million in logistics and operations to expand its presence in the USD 3 billion Indian e-commerce market. "An investment by a legendary and respected figure like Mr Tata is an excellent validation of our focused strategy on building a long term enterprise and marks the start of a very important phase for the company," Bahl said. Snapdeal has seen 600 per cent growth year-on-year for the last two years, he added. Snapdeal currently houses over 5 million products across 500 diverse categories from over 50,000 sellers. The city-based firm had raised USD 100 million (about Rs 600 crore) in May from Temasek, BlackRock Inc, Myriad, Premji Invest and Tybourne, while in February, it had received funding worth USD 133.7 million (about Rs 830 crore) from its existing investor, eBay and others. Snapdeal rival Flipkart on July 29 announced a USD 1 billion funding, which is the largest in the fledgling ecommerce sector. A day later, world's largest e-tailer Amazon said it will pump in USD two billion to bolster business here. Another report by consultancy firm PwC and industry body Assocham suggests that e-commerce firms are expected to spend up to USD 1.9 billion by 2017-2020 on infrastructure, logistics and warehousing.